Omri Kohl is the Co-Founder and CEO at Pyramid Analytics, a disruptive and innovative business intelligence company that is revolutionizing the way users access, visualize and present their data. Omri has started, mentored, built and sold innovative technology companies his entire career. icrunchdata speaks with leaders in the analytics space to learn more about what they are currently focused on and what their interests are outside of the office. 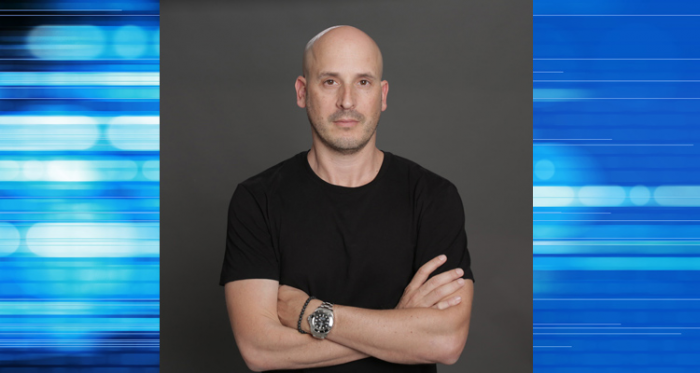 We recently caught up with Omri to discuss what his top priorities are every day as the CEO, what’s next for Pyramid as far as global expansion and what his interests are outside of analytics. You are the Co-Founder and CEO of Pyramid Analytics that was started back in 2008. What are the top 3 things that you are most proud of since starting the company? First and foremost, I am proud of our employees. They are remarkable group of people that truly make the company what it is, both in terms of company culture and overall success. Second is our customers. We wouldn’t be where we are today without them – they believed in us and chose to work with us. We understand what they needed and built superior technology to solve their unfulfilled business intelligence needs. As a result, they continually tell us about their fast results, project success and strong customer experience. Thirdly, today no one asks “Pyramid who?” They know us. As the CEO, what are your top responsibilities that you focus on each and every day? Each day I revisit my previous day’s decision and check what worked and what needs to be changed in order to move the business forward. I also outline the company’s strategic goals. There is an exponential growth and proliferation of data that businesses are challenged with handling, not just ingesting it, but getting intelligence to make business decisions. I want to be sure the company’s goals will meet our customers demand for BI. Lastly, I focus on building strategic alliances in the market. Our partners help us deliver our technology into both vertical and horizontal industry solutions, whether that be finance and banking, telecommunications, education and health services, manufacturing and many others. In early 2013, Pyramid secured the first round of venture capital from Sequoia Capital. What have been the biggest changes within the organization since this round of funding? Being a Sequoia backed company is a big deal – the fact that they believed in our vision and company is huge vote of confidence – the market followed. We’ve grown quickly and built a successful business: the next generation BI platform for the enterprise, complete with proven leaders, motivated talent, and hundreds of thousands of satisfied users. When you walk through your offices, what aspects of them do you think set the vibe and tone of the company? It’s not the office – it’s the people. My team is the smartest team I’ve ever worked with. They are passionate, accountable, responsible, devoted and dedicated. That’s what sets the tone. The vibe is one unified belief that we are here to be the leaders in the BI category. Pyramid Analytics is headquartered in Amsterdam, Netherlands with offices in Seattle, Tel Aviv, London and Paris. Are considering other countries to expand into? We are growing exponentially, part of it is opening new markets all the time – the next step is Asia Pacific with the focus on China and Japan. With offices all over the world, where do you spend the majority of your time? In airplanes and business lounges….I devote my time between meeting customers and our sales and marketing offices. I try to make sure I come to the right place at the right time. In one of your recent blog posts, you discussed the relationship between robots performing tasks and humans analyzing their efficiency with data. Which industries are leading the way in embracing the team relationship between robots and humans? I think today all companies are data driven companies – hence, it’s not an industry that leads, it’s where data changes the way companies operate. The more data driven you are, the more data insight helps you. A few of your interests outside of the office are snowboarding and wakeboarding. Where are your favorite places to do each? I love the feel of freedom with extreme sports. You must focus on it completely so it’s the ultimate break for me. I love exotic places. What is a personal challenge of yours that you haven’t accomplished yet but it’s on your list to knock out in the next 5 years? I always try to be a better person – one day at a time. I would like to devote more time to my family and friends and be closer to my teams. I hope they can say I’m improving…. If you could sit down with one business leader that you most respect but haven’t met yet, who would you choose to meet? Omri, that’s all of the questions that I have for you today. Thank you for taking the time to speak with us.